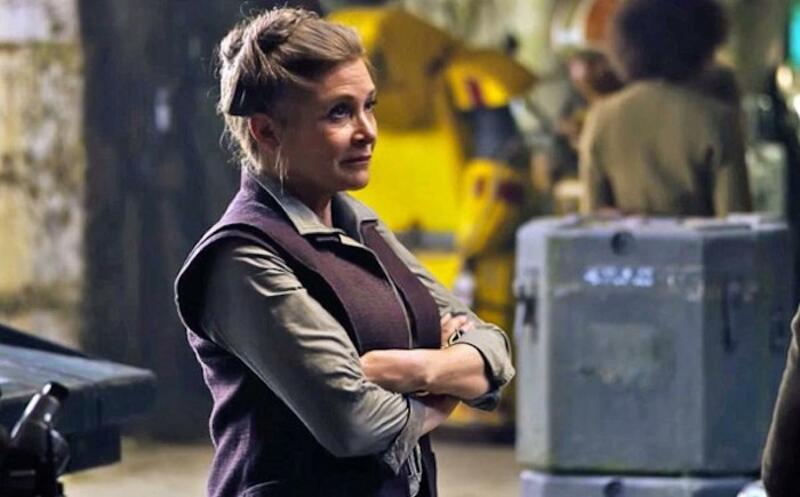 Over the past few days, there have been rumors circulating that Disney has begun negotiations with Carrie Fisher's estate regarding the possibility of digitally recreating the late actress for continued appearances by Princess Leia in Star Wars films. The story originated in a BBC Newsnight report, which stated, "And in what might be regarded as unseemly haste, Disney is negotiating with the actor’s estate over her continued appearance in the franchise.” This lead to much speculation that Lucasfilm and Disney were planning to digitally recreate Fisher for an appearance in 2019's Star Wars Episode IX (all of Fisher's scenes for this year's Episode VIII have already been filmed). Today, The Guardian is reporting that the earlier reports are false. The Guardian's Andrew Pulver reported that, "Disney have denied they are negotiating with Carrie Fisher’s estate for the rights to use the actor’s digital image in future Star Wars film, according to industry sources." While this by no means rules out the possibility of a digital Leia appearing in future Star Wars films, it does seem to suggest that the production is at least exploring other possibilities first. The script for Episode IX is still being worked on by director Colin Trevorrow and writer Derek Connolly. The Hollywood Reporter reported a few weeks ago that the Star Wars executives would be meeting with Trevorrow this week to discuss how to proceed following Fisher's passing. Having a CGI General Leia would not be unprecendented, a GCI Princess Leia appeared at the end of Rogue One: A Star Wars Story. The decision was approved by Fisher prior to her death. Rogue One also used CGI to bring back Peter Cushing for the film to play Grand Moff Tarkin. Cushing died in 1994, however the move was approved by the late actor's estate.